Celebrate Mother’s Day at Time to Spare! Moms bowl free from 11 AM to 4:00 PM. 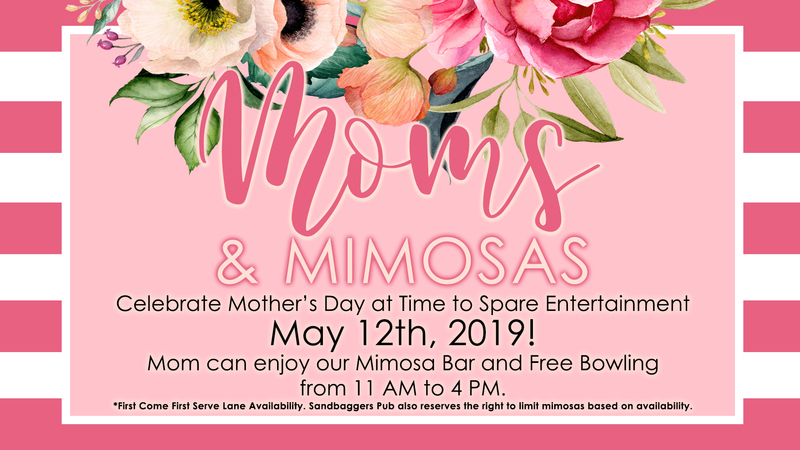 We will have a Mimosa Bar setup in the Sandbaggers Pub for adults to enjoy during their visit. Bring your family’s and share will fellow Moms!